A view of the Germiston Lake. A young coach and rower were struck by lightning on Saturday after a storm descended on the area. 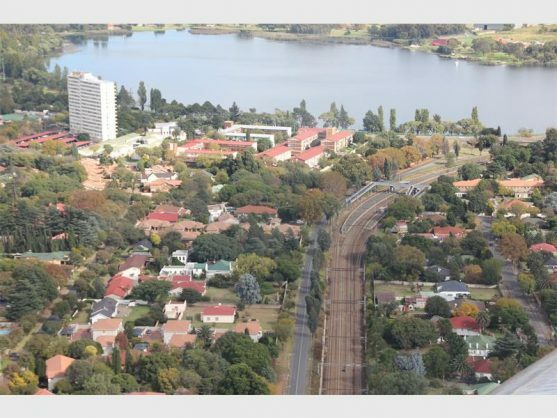 Rowing South Africa has shed some light on the tragic lightning strike that led to the death of a 19-year-old coach and the injury of a 14-year-old rower at Germiston Lake on Saturday, reports Germiston City News. Both coach and rower, whose names have yet to be released, were affiliated to Somerset College in the Western Cape. “We are waiting to engage with the athletes who were directly involved to ascertain what transpired. They are deeply traumatised at the moment. Keith McIvor on behalf of Rowing South Africa said: “However, what appears to have happened is that after the regatta had closed for the day, a group of athletes together with their coach started to walk back to their hotel which was close to Germiston Lake. The entire rowing community in South Africa is in mourning for the young man. “He was deeply committed to rowing and much loved, he will be honoured by the community in a way that pays tribute to him and aligned to his family’s wishes. “Details will be forthcoming when they become available,” said McIvor. When asked if Rowing South Africa had any safety tips for rowers or supporters who could find themselves in similar situations, he said: “Lightning is incredibly dangerous and should not be underestimated – ever. “When lightning is in the area, people should seek shelter in buildings, or in cars with the windows closed – or if there is no other alternative one should crouch down on the ground and have as little touching the ground as possible (your feet only) and make yourself as small as possible.